Dussault is an alumni of Le Cordon Bleu® Paris who discovered Wild Burgundy Snails while working in a Paris restaurant. He is now the owner of the Potironne Company, which imports Wild Burgundy Snails, providing them to restaurants, gourmet shops and the public. MasterCook was excited to talk with Dussault about his experience with this special ingredient. MasterCook: Can you tell us about what makes the Wild Burgundy Snail so desirable compared to farmed snails or other types of snails? 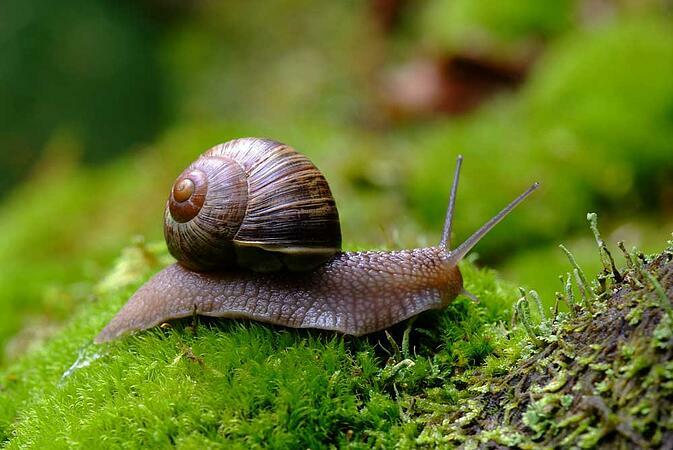 Doug Dussault: Also known as the Roman Snail—a reference to its place in the Roman diet millennia ago—or Vineyard Snail, the Helix Pomatia is the most prized of the 116 edible varieties of Helix snail. Sustainably harvested for hundreds of years, and a protected species throughout Europe (Least Concern), it is also quite temperamental and delicate. It does not take well to farming, and I am not aware of any successful commercial farming operations. Besides, true among most foods, limited human intervention yields better results. Free range, cage-free, and wild proteins particularly display a certain terroir; nuances of their environment. This is true of the Wild Burgundy Snail, too. In nature, the Helix Pomatia observes seasonality in its diet, and will stroll right past, say, wild asparagus in September. Commercial farming—the Helix Aspersa, also known as the Brown or Garden Snail, the invasive species now found through much of California, is the most commonly farmed—on the other hand, relies highly on processed cereals for feed. Beyond an adulterated diet, farmed snails are also affected behaviorally. Inherent breeding cycles and even hibernation are affected. So many stresses, of course, negatively affect the taste.